Many thanks to David Nerz, chair of our Finance Council for his presence and words last week at all of our Masses. As David mentioned, our Finance Council oversees and advises on the overall finances of our parish. Every year, our parish relies on our offertory – this is the amount of money that people pledge to support the ongoing operations and ministries of St. Francis. For the past few years, we have projected 2% annual growth on offertory and this past year we did not meet that goal. As David mentioned, our parish has been able to adjust, but this shortfall in our projection is something that we want to watch closely. At the end of his talk, David introduced our new Director of Stewardship, Deb Royals-Mizerk and you will be hearing from and meeting Deb in the coming weeks. Many thanks again to David for his words last weekend. 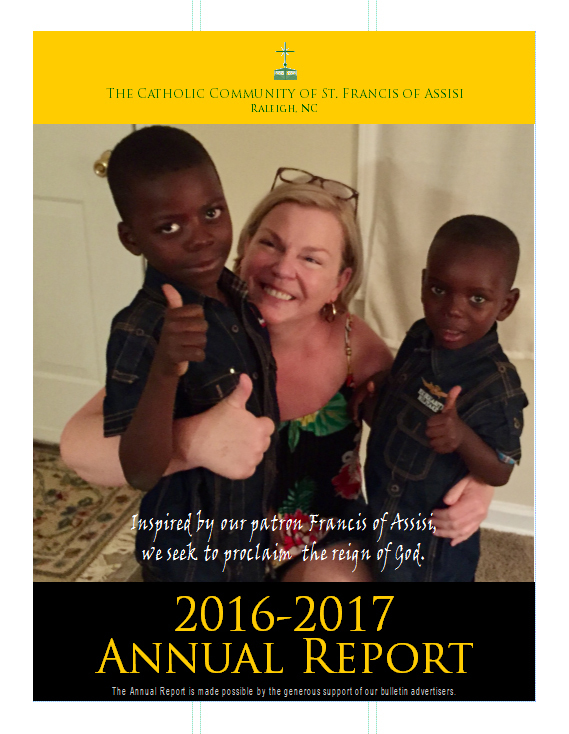 Please also know that copies of our Annual Report are still available – contact Rob Neppel, our Director of Finance if you’d like a copy, or visit http://bit.ly/SFAReport to view and download a copy online.